Book a Santa Catarina Lachatao vacation package on Expedia right now! This is one of the easiest ways of saving time and money for your upcoming vacation. In a matter of minutes, you'll be able to arrange everything you'll need for your next vacation using our extensive database. And — with more than 400 partner airlines and 321,000 properties from all over the world, you'll have the freedom to mix and match! Almost all reservations can be changed with no extra charge from us. Can't wait for your trip to Santa Catarina Lachatao? After a few pointers about what to do when you get there? That's where we can assist! History has endless lessons. Soak up the knowledge and gain an insight into days gone by at Museo Comunitario Balaa Xtee Guech Gulal. Still got time on your hands? Appreciate the artworks at La Grana Tejidos. If a piece catches your eye, chat to the attendant and learn about the artist who made it. As there are no Santa Catarina Lachatao properties listed with Expedia, a good alternative is to stay in Santo Domingo Tomaltepec, which is just 10 miles (16 km) away. The La Leyenda Hostel and Hotel Cosijo are some of the most comfortable options in Santo Domingo Tomaltepec. The airport is rarely the most memorable moment of your getaway, but there's nothing like the thrill of knowing that your well-deserved trip to Santa Catarina Lachatao is just a plane trip away! Once you hit the tarmac at Xoxocotlan International Airport (OAX), you'll be 19 miles (31 km) from the middle of town. 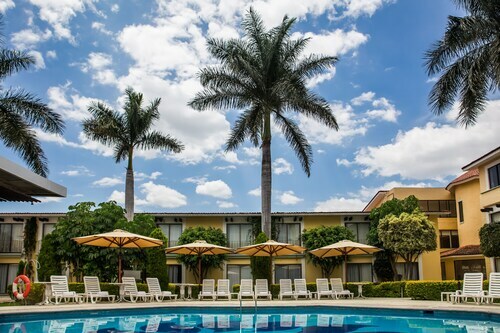 Located in Reforma, this hotel is within 1 mi (2 km) of El Llano Park, Oaxaca Cathedral, and Zocalo Square. Benito Juarez Market is 1.3 mi (2.1 km) away. 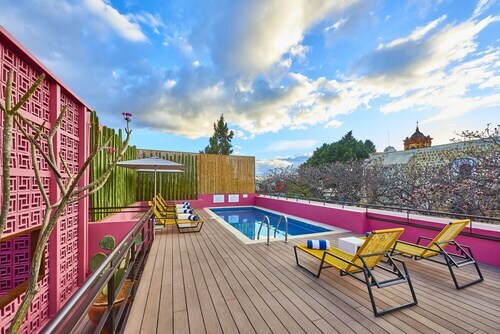 Located in the heart of Oaxaca, this eco-friendly hotel is within 1 mi (2 km) of Merced Market, Oaxaca Cathedral, and Zocalo Square. Benito Juarez Market is 1 mi (1.7 km) away. 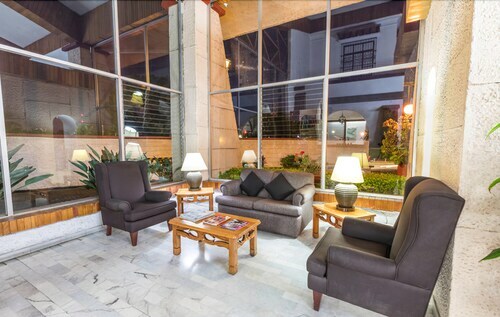 Located in Centro, this hotel is steps from Government Palace, Benito Juarez Market, and Zocalo Square. Oaxaca Cathedral is 0.2 mi (0.3 km) away. 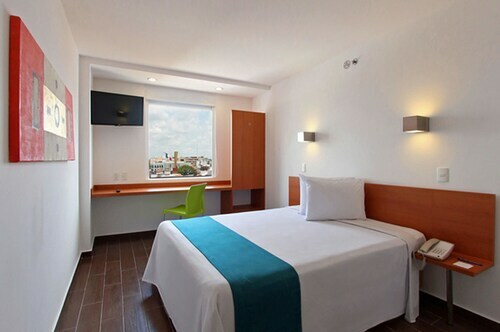 Located in the heart of Oaxaca, this hotel is within 1 mi (2 km) of Auditorio Guelaguetza and Oaxaca Cathedral. Zocalo Square and Benito Juarez Market are also within 2 mi (3 km). Located in the heart of Oaxaca, this hotel is within 1 mi (2 km) of Andador de Macedonia Alcala, Oaxaca Cathedral, and Zocalo Square. Benito Juarez Market is 1 mi (1.7 km) away. 4 blocks from Oaxaca's main plaza and historic center, a designated UNESCO World Heritage Cultural Site, this 91-room former convent exemplifies the provincial capital's regal heritage. 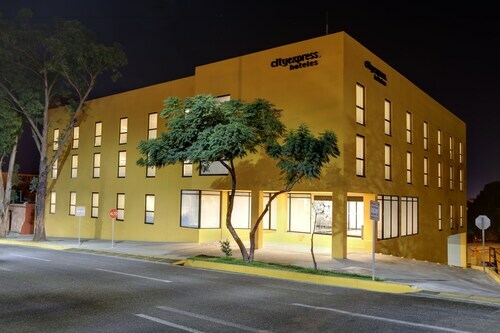 Situated near the airport, this eco-friendly hotel is 0.9 mi (1.5 km) from Benito Juarez Autonomous University of Oaxaca and within 3 mi (5 km) of Benito Juarez Market and Oaxaca Textile Museum. Monte Alban and Tule Tree are also within 9 mi (15 km). 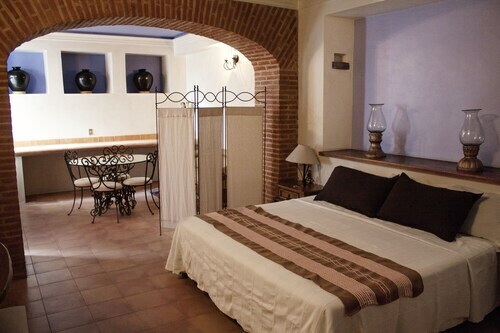 Situated in Oaxaca, this hotel is within a 10-minute walk of El Llano Park and Andador de Macedonia Alcala. Oaxaca Ethnobotanical Garden and Santo Domingo Square are also within 15 minutes. Mon., 2 Sep. - Mon., 7 Oct.